There are those manmade structures that defy all meaning and understanding like the Pyramids of Ancient Egypt, England’s Stonehenge, Goseck Circle in Germany, or Mexico’s Teotihuacan. 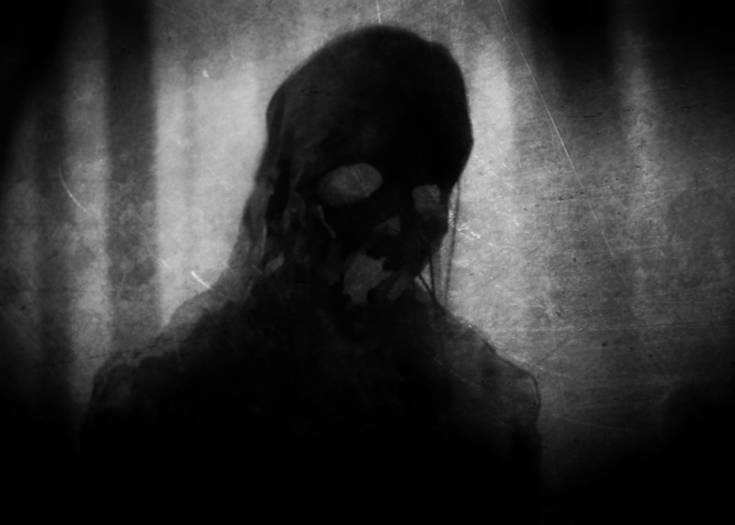 To us, their purposes are a mystery, so we must speculate. Were they built for ancient religious ceremonies involving human sacrifices? Were they the work of ancient aliens as a means of imparting other world technologies to a primitive civilization? Or were they built simply to amaze or possibly confuse future travelers? We now ask the same questions of another mysterious spot, the Coral Castle of Leisure City, Florida. 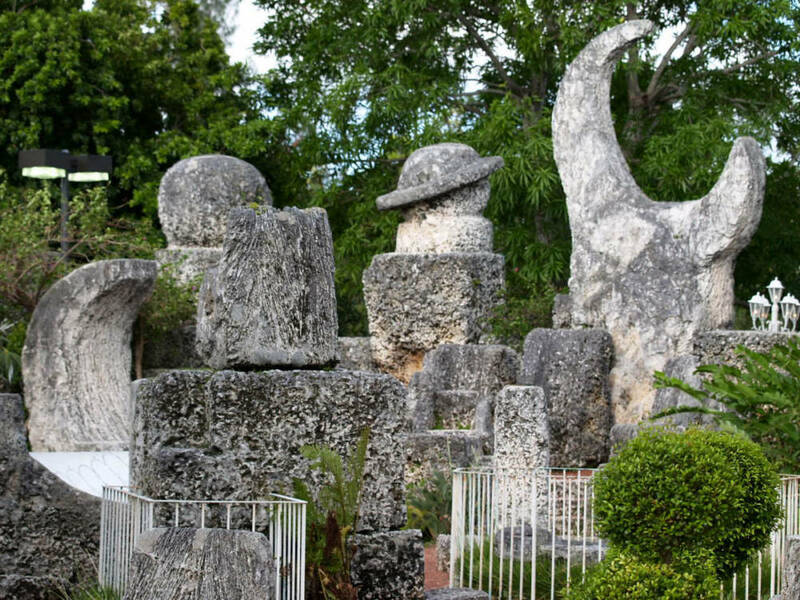 The Coral Castle is an immense collection of intricately carved limestone formed from coral. These megalithic structures take on many shapes, some have even been constructed as rooms with doors created from mammoth pieces of limestone that can be opened by the single push of a finger. It is the mysterious work of a Latvian American emigrant named Edward Leedskalnin. 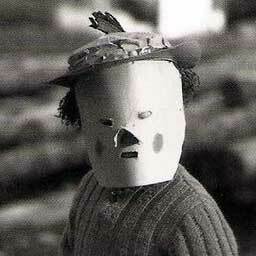 Edward was born in Stameriena Parish, Latvia on January 12, 1887. As a boy, he was sickly and spent many days in bed reading books. He came from a poor family and only went so far as to have a fourth-grade education. As a result, most of his education came from his own independent study. When he came of age, his father took him under his wing to teach him stonemasonry, and when he was twenty-six, Edward became engaged to a young woman sixteen years of age. Edward’s young love eventually broke the engagement and the young man’s heart. In total devastation, Edward emigrated to the United States. First arriving in New York City, he moved to the Pacific Northwest to find work in the lumber industry. There he worked as an ax-handle manufacturer in Reedsport, Oregon. In the winter of 1922, Edward contracted tuberculosis which was aggravated by the cold damp Oregon weather. Edward then moved to Florida to seek out a more curative, warmer climate. He purchased an undeveloped piece of land in Florida City which is located in Miami-Dade County. There Edward began construction of what he called “Rock Gate”, a massive structure that took him over 20 years to construct. He worked mostly at night, carving over 1,100 tons of oolite limestone into what would eventually be called the Coral Castle. Once completed, he dedicated the structure to the girl who many years prior had broken his heart. He used crude tools made from salvaged lumber and automobile parts to move and carve mammoth blocks of stone. Working at night and under low-light, he kept most of his construction methods a mystery. Some believe Edward used a type of reverse magnetism to lift the stones and move them into place. Others believe he was endowed with supernatural powers given to him by some other worldly source. How else could have moved such heavy stones into position by himself, then place them perfectly atop one and other where they remained for decades without the aid of mortar or concrete? In the mid-1930s, Edward had the entire structure moved to its present location in Homestead, Florida where it resumed its life as a roadside attraction. Then on November 9, 1951, Edward checked in to Jackson Memorial Hospital in Miami, leaving a sign on the door that simply read “Going to the Hospital”. There he suffered a stroke, and 28-days later he died of a kidney infection. After Edward’s death, a search of the property uncovered $3,500 dollars, the result of decades of charging tourists ten cents admission to see his marvel, but they did not find a will. The castle passed to Edward’s closet living relative in the United States, a nephew from Michigan named Harry. Like Edward, Harry was also in poor health, so he sold the castle to an Illinois family in 1953. The land was then purchased by a retired Chicago jeweler named Julius Levin. 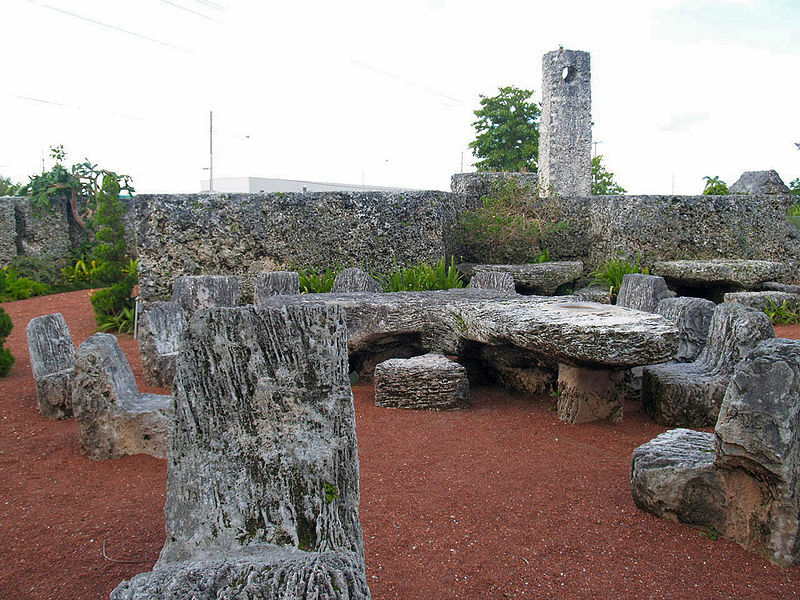 Julius kept the Coral Castle as a roadside attraction. 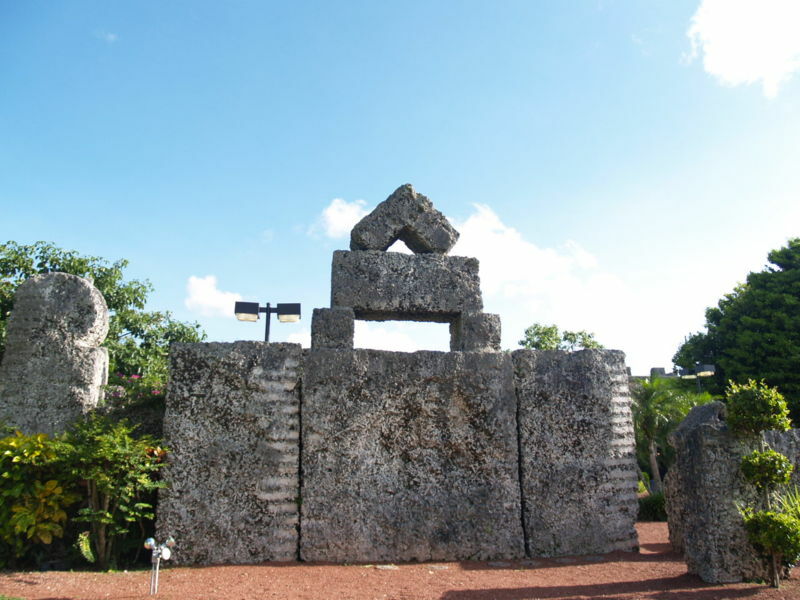 Since 1981, it has been the property of Coral Castle, Inc. and remains so to this day. The construction methods used by Edward still remain a complete mystery. In 1986 a large stone gate, meticulously balanced on its axis so that it could be opened by a push of a child’s finger, broke. Six men and a 50-foot crane were required to move the stone gate. Once removed, engineers saw that Edward had drilled a hole through the stone and inserted a metal shaft which then rested on an old truck bearing. Because the bearing had rusted, the gate no longer revolved. The crew replaced the bearing and shaft then set the stone gate back in place. The gate failed again 20 years later and had to once again be replaced. To this day, it still does not open as well as it did when Edward did it himself decades earlier, so it seems no one will ever be able to replicate Edward’s methods. Perhaps he was party to some extraterrestrial secrets like the ones imparted to ancient civilizations. Or perhaps it’s just amazing what some people can do with a broken heart. For more info on the site or to visit the Coral Castle, check out the website here. 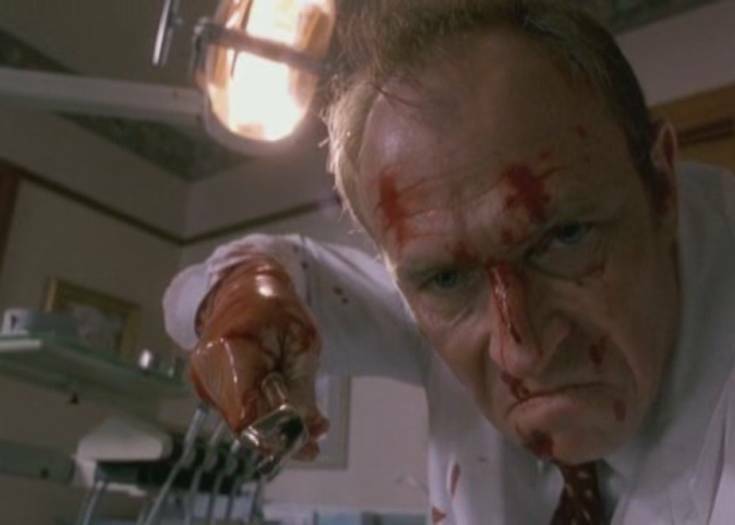 Next Story Was the Movie THE DENTIST Based on an Actual Series of Murders?